This Monster Scouts emblem patch is the antique logo/brand of the Monster Rangers. This one shows our history, and will no longer be produced. You can always wear this with pride on your Rangers uniform, however. 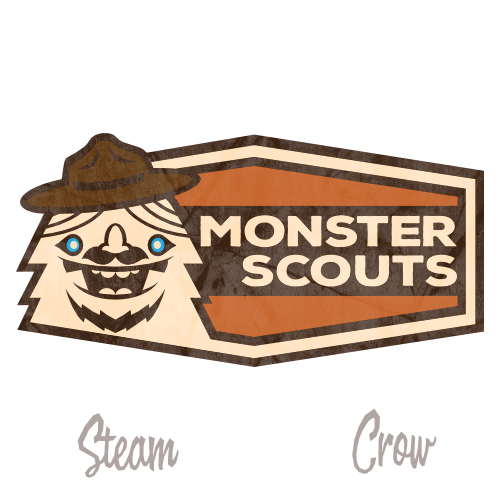 There is but 1 level of the Monster Scouts Emblem Patch. It is an old and dusty level, at that. Some say that the Yeti are distant relatives of the Sasquatch, but don’t tell them. The Monster Scouts Emblem Patch is worth 25 Glory points. Yeti are smart, tough, and and friendly. This is a common patch. You can get one here!